Orvill S. Paller was born and raised in Salt Lake City , Utah. He earned a B.A. 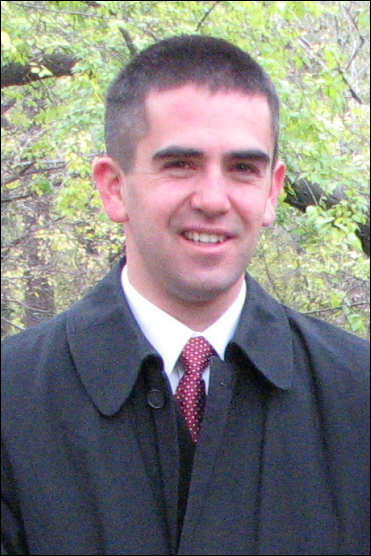 in International Studies from Brigham Young University (2000) and a M.B.A. from the David Eccles School of Business at the University of Utah (2005). 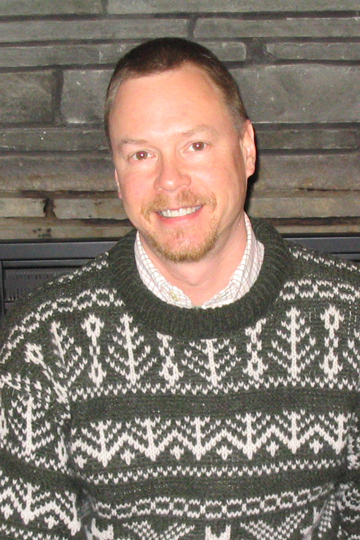 Upon completion of his M.B.A., Orvill was hired as a Product Manager at MyFamily.com (now The Generations Network) where his focus was on delivering genealogical databases to the company’s website Ancestry.com. In February 2006, Orvill was hired as a Business Analyst and Collection Management Specialist with the Family & Church History Department (FamilySearch) of the L.D.S. Church . Among his current responsibilities, Orvill serves as Collection Management Specialist for Minnesota , Wisconsin , Iowa , Illinois , Indiana , Ohio , Michigan , Florida , Romania and Poland . Orvill’s interest in Poland and Polish genealogy began during his first visit to Poland in 2000. During that visit, he visited many of the villages of his ancestors in the former Prussian/German Province of Pommern and saw the home that his paternal grandmother was born and raised in. Orvill’s genealogical research interests include Austria , Hungary , Poland , Germany , Romania , Midwest USA and New England USA. He has researched in archives in Poland , Austria , Germany , Romania and throughout the United States . The tentative schedule for the United Polish Genealogical Societies has been released. The schedule is subject to change as preparations for UPGS 2008 are finalized. The schedule will include two tracks of lectures this year, one on traditional research and one on digital resources. Steve Danko was born in Albany, New York, has lived in Vermont, Nebraska, and Oregon, and now resides in San Francisco, California. He earned a Ph.D. in Botany and Plant Pathology from Oregon State University. All of Steve’s grandparents were Polish immigrants, which has led Steve to concentrate on 20th Century American Records and 18th and 19th Century Polish Records. His research in Poland has led to a appreciation for European History and Languages. Steve writes a daily genealogy research weblog (blog) on the Internet, where he posts images of the documents important in his personal research and discusses the relevance of those documents in documenting his family history. In the course of writing his blog, Steve has reconnected with lost cousins in Poland, the United Kingdom, and the United States. Steve is currently studying for a Professional Learning Certificate in Genealogical Studies from the National Institute for Genealogical Studies. He is a member of the National Genealogical Society, the California Genealogical Society, the Polish Genealogical Society of America, the Polish Genealogical Society of California, and the San Mateo County Genealogical Society. One of the newest ways to publish genealogical information on the Internet is by the use of weblogs, commonly called blogs. Genealogy blogs include a wide range of subjects, including genealogy news, methodology, family history, and research diaries. Setting up and maintaining a blog is surprisingly easy and can provide benefits for your research in ways that other methods of disseminating genealogical information may fall short. New hardware, software, and on-line technology make finding, recording, and sharing information faster and easier than ever. Many of these advancements have found their way into genealogical research, enabling even a moderately technology-capable genealogist to take advantage of these new gadgets and gizmos. New technology enables genealogists to have access to their family history data from anywhere in the world, avail themselves of genealogy education at times and places of their choosing, collect documents and information more easily, and prepare professional-quality family books without the professional price.